Saturday, March 30, 2013 at 8pm: No other instrument is as hot as the banjo these days. 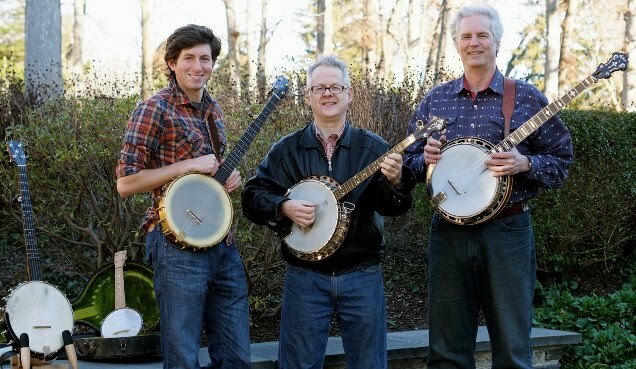 For this showcase, masters of the instrument gathered with a full backup band for a night of top-notch bluegrass, Irish, and old-time music. Famed bluegrass banjo player Mike Munford awed with his impeccable timing, exquisite tone, and jaw-dropping technique. World-renowned hammered dulcimer player Ken Kolodner joined forces with his son Brad on the clawhammer banjo offering tight, musical arrangements of original and traditional Appalachian old-time music. County Meath native Peter Fitzgerald is known for his mastery of the Irish-style tenor banjo and his encyclopedic recall of songs. The showcase included famed bluegrass fiddler Jon Glik, Celtic guitarist Andy Thurston, and a wealth of talented musicians and vocalists.